Although Charles and Dolly Crider live in Spring, TX, they have a cabin near Marble Falls. Here's how Charles described the place in his biography, "We inherited a portion of my grandparent’s ranch outside of Marble Falls. In 1983 we had a cabin built and, since my father introduced me to woodworking as a little kid, I made the cabinets and finished the inside. One morning we were eating breakfast when we saw something out the window that we had never seen before or since. There were twin fawns nursing at the same time. It was really something." 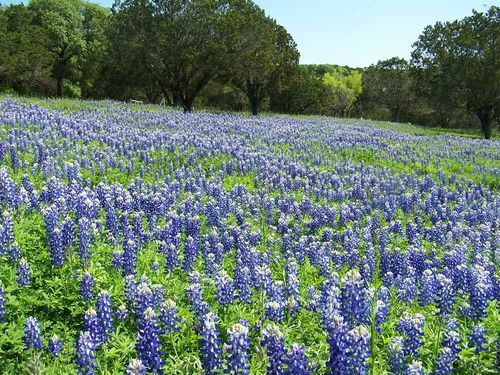 Besides the fauna they enjoy while visiting their cabin, they also enjoy the flora, such as these bluebonnets.